While different industries continue to try to adapt to global markets and the recover from the Great Recession, the casino industry is benefiting from relaxed regulations and the fact that Americans have more disposable income. Casino industry experts are also projecting a bright future based on the recent election of Donald Trump, an industry insider. Despite some bright spots, data indicates that the casino industry may be undergoing some major geographical shifts and experiencing competition from online gambling, which is leading the gaming industry in both Europe and Asia. For a closer look at the future of the casino industry and what emerging trends to be on the lookout for, keep reading. In the past, casinos have been regulated by state laws that were applied across the board. However, regulations are becoming more localized. Instead of instituting broad limitations, local governments are being given the power to make their own decision about how to handle gambling establishments and revenue. As a result, more small casino locations are popping up in the form of riverboats, tribal casinos and cruise ships. Expect this trend to continue and for gambling to become more accepted and welcomed outside of traditional gambling and casino hubs. In the United States, casinos have been concentrated in two main locations: Las Vegas and Atlantic City. However, both these locations are undergoing major changes while casinos along the east coast continue to multiply and grow. Over the past decade, Atlantic City has lost over half its value. While the gambling and hospitality industries still make significant contributions to the local economy, it is hard to imagine the city returning to its heyday. 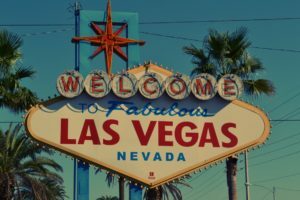 Las Vegas is still thriving as a tourist destination, but less and less of the city’s revenue is coming from gambling. In 2016, 34% of the Strip’s revenue came from gambling. Compare that to 1984 when a full 58% or revenue was a direct result of gambling. More people are choosing to spend their time and money on shows and other entertainment. Those who are almost exclusively interested in gambling and view the shows and restaurants as an added perk and not the main attraction, are heading to smaller establishments. The east coast, in particular, is seeing an expansion of the casino industry. Perhaps most notably, MGM has made major investments in developments near Washington DC and Springfield, MA. The goal is to provide local consumers with the same brand experience that would have in Las Vegas. Industry leaders are betting on the fact that people will be excited to have the casino experience without having to pay for travel. While casinos are still making significant profits, even if less of their revenue is coming from gambling, they are still looking for ways to lure people back to the games. Those looking to introduce disruptive solutions that will lead to true market innovation are turning to skill based gambling games. For example, Konami recently introduced a Frogger slot machine that combines both skill and luck. Players can win performance based prizes. At the end of each round, you can spin the wheel and win additional prizes. It combines classic, interactive arcade games with traditional gambling for a more well-rounded user experience. These new types of skilled based games appeal directly to Millenials who simply aren’t showing up to engage with typical gambling games. By introducing the arcade element, casinos are able to meet players where they already are and provide a twist on gaming. 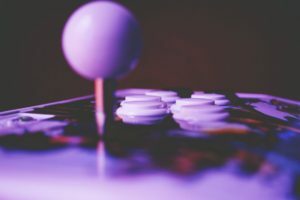 Instead of sitting at home in front of computers and game consoles, avid gamers can visit the casino and put their skills to work and maybe win a little cash. Arcade themed slot machines are just the tip of the iceberg when it comes to the future of interactive gambling. Virtual reality games are also poised to become more standard fare in casinos, as well as, team games that allow players to interact with other gamers in the same casino and around the world. Casinos will have to continue to develop innovative ways to incorporate new gaming technology into their establishment to avoid becoming an obsolete form of entertainment. Modern consumers have higher expectations when it comes to both the types of games they want to see on the casino floor and the level of service. More than ever, patrons expect to visit a well-organized establishment that is able to provide fast and courteous service that helps create a memorable experience. 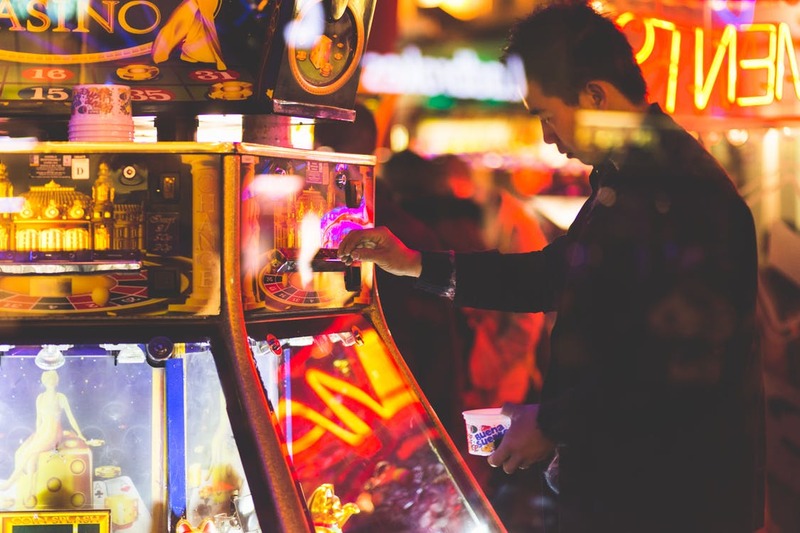 The more casinos are able to provide both cutting-edge games and superior service and hospitality, the more they will be able to build brand loyalty and earn repeat business. Once again, the solution to a better casino and impeccable service comes down to technology. Relying on powerful management and scheduling software, such as Casino Schedule Ease, allows large casinos with hundreds to thousands of employees to effectively fill openings and make sure that every aspect of the casino is appropriately staffed. 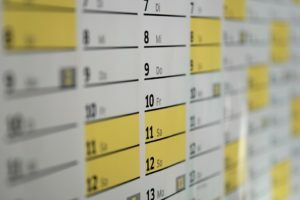 A streamlined system with a centralized dashboard also makes it easy for employees to request time off and manage their own schedules. It is the best way to improve efficiency, drive profits and reduce the number of man-hours that are spent managing employees and scheduling. While the casino industry is still profitable, its growth rate has slowed significantly over the past decades and more revenue is coming from entertainment than actual gambling. If casinos are able to expand into the right markets and continue to incorporate new games that address the evolving interests of customers, then they may be able to stabilize the industry. Brick and mortar casinos will also experience increased competition from online gambling, which makes the ability to provide a positive customer experience even more important. Simplifying the employee scheduling process with the right software is just one way to improve service and earn loyal customers.